Book a meeting in our Showroom located at Jungfrugatan 29 in Stockholm. In the showroom you have the ability to touch and feel our selected fabrics, give our collars a closer inspection and get assistance with the measures to achieve a good fit. A measurement appointment will take about 30 minutes. 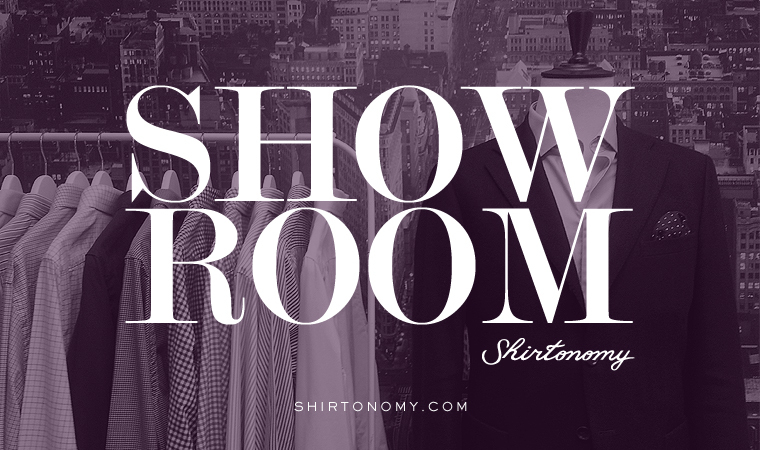 Make a reservation in our Showroom by calling us at +46(0)8-22 96 51 (weekdays between 10-18, write in the chat, or send an email to customer@shirtonomy.com. You are more than welcome to bring a few friends or colleagues, but please do notify us of the number of people so we are able to plan accordingly.